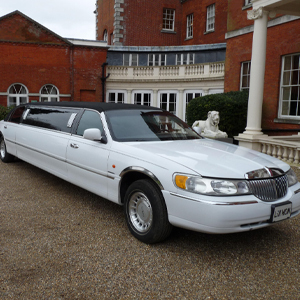 The White Lincoln Town Car limo is perfect for any occasion in Essex adding a touch of class with a party atmosphere, in White it is perfect for any wedding whether it be traditional or otherwise. With luxury seating and its great amount of space it makes it perfect for even the biggest of dresses, meaning not only is it ideal for brides and their bridesmaids, but the Lincoln Town Limousine would be perfect for proms in and around Essex, cable of seating up to 8 people it means larger groups can be transported together. 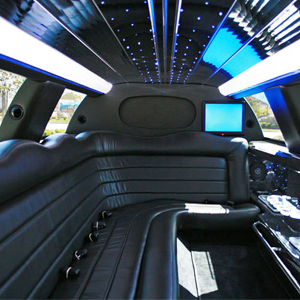 All of these features give this luxury Lincoln Town Limousine the WOW factor and will help you to arrive in style, making your journey around Essex one of fun and good memories.